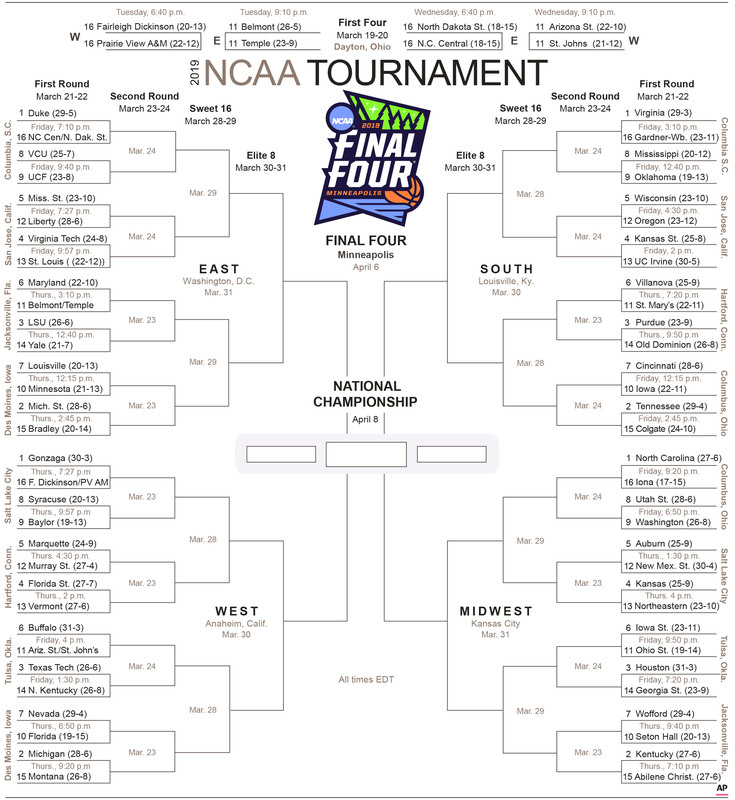 Originally Published: March 18, 2019 12:13 a.m.
EDITOR'S NOTE: Pick up a paper copy of The Daily Courier on Monday, March 19, to get a two-page spread of the 2019 NCAA Tournament bracket. In addition, the Courier Sports team is hosting a Battle of the Brackets contest this year. To register, click here. Watch The Daily Courier and dCourier.com for more information on the contest, and the NCAA Tournament.